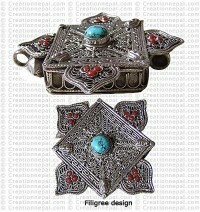 A ghau is a kind of prayer box which is worn around the neck and hung close to the heart. 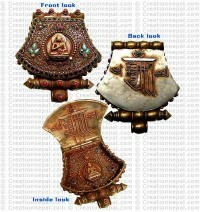 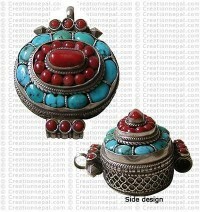 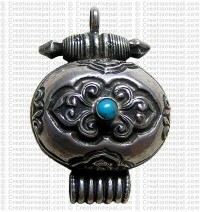 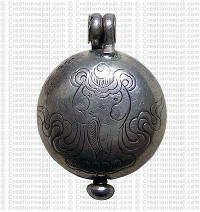 According to the Tibetan tradition, it is used as an amulet that provides protection from evil. 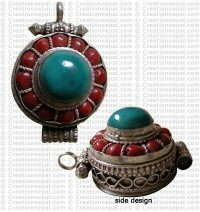 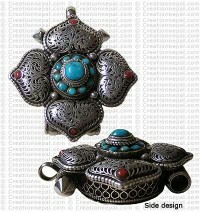 Creation offers varieties of ghaus made of sterling silver embedded with semi-precious or precious coral stones, turquoise and red coral that are especially favored in the Tibetan designs. 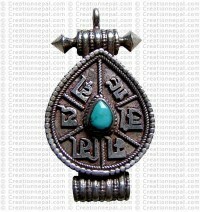 We also use other gems like amber, lapis lazuli carnelian, garnets, amethyst, and even rubies, sapphires and emeralds.